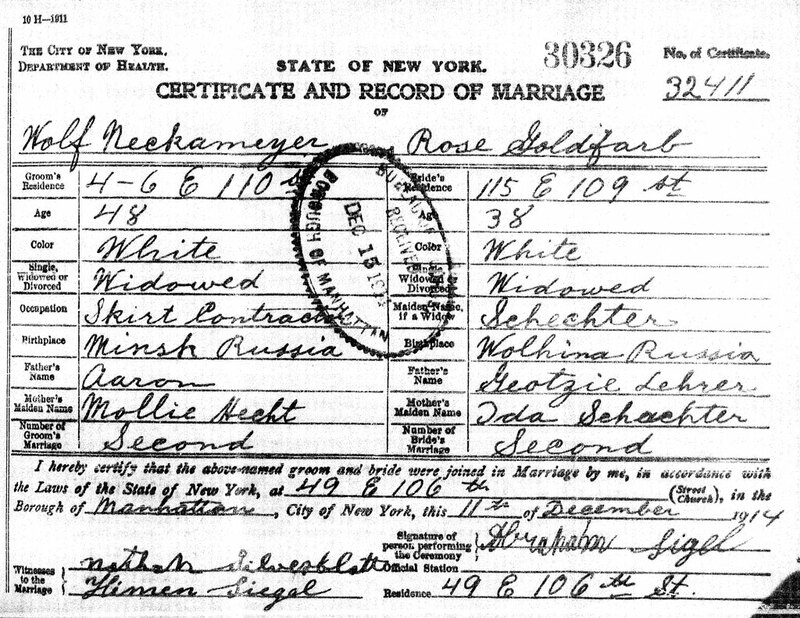 Thanks to the work of the Reclaim the Records organization, indexes to marriage licenses are now available online for the New York City, and the information in the index can be used to order documents from the New York City Department of Records and Information Services (DORIS). These documents tends to be more complete than the marriage certificates, whose index has been available online (for a more limited range of years) for some time. Reclaim the Records was awarded the index in two parts. Records from years 1908 through 1929 were obtained from the New York City Municipal Archives. Records from 1930 through 1995 are housed with the New York City Clerk’s Office. The former have been available since April 2016, and the latter group was made public earlier this year. A couple of months ago, I tested the waters by ordering four documents. I expected to wait several months for delivery, but I was pleased to receive them within four weeks. After a few years of occasional research — this isn’t by any means a full-time endeavor for me — I’ve finally solved a mystery. My mother’s paternal grandmother, Anna, was born in New York City, and so I thought that confirming details about her life would have been easier. 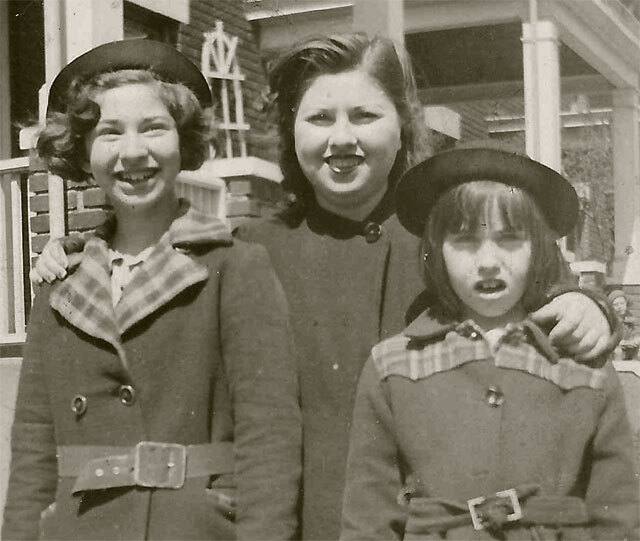 With my mother and her cousin Barbara telling stories, I expected I’d be able to learn more about her. I did, but until recently, there was little I could confirm. All that changed recently. First, I discovered that her father’s last name was Nachamin for their first few years in the United States, not Neckameyer. The family appears to have changed the name for the chance of better success in business, but that’s just an assumption at this point. This led to not only Anna’s birth certificate, but more vital records for Anna’s siblings, including a few I was not previously aware of because they died young. Because FamilySearch has indexed, though poorly, all names on New York City vital records, I’ve been able to find much more information. I wouldn’t say I’ve broken through another brick wall, but I’ve started chipping away a frustrating barrier. My great grandmother, Anna Neckameyer Berman, is still a bit of an enigma. She remarried several times after my great grandfather passed away, and all though my relatives are sure the cemetery in which she is interred, I have not been able to find her. I had until recently been unable to find a birth record for her, as well, even though she was born in New York City. My great grandmother, Anna Neckameyer Berman, is lost to time. After her husband, my great grandfather, passed away she remarried twice, and I haven’t found anyone who has been able to point me in the right direction. Her sister, Celia, has been easier to locate. 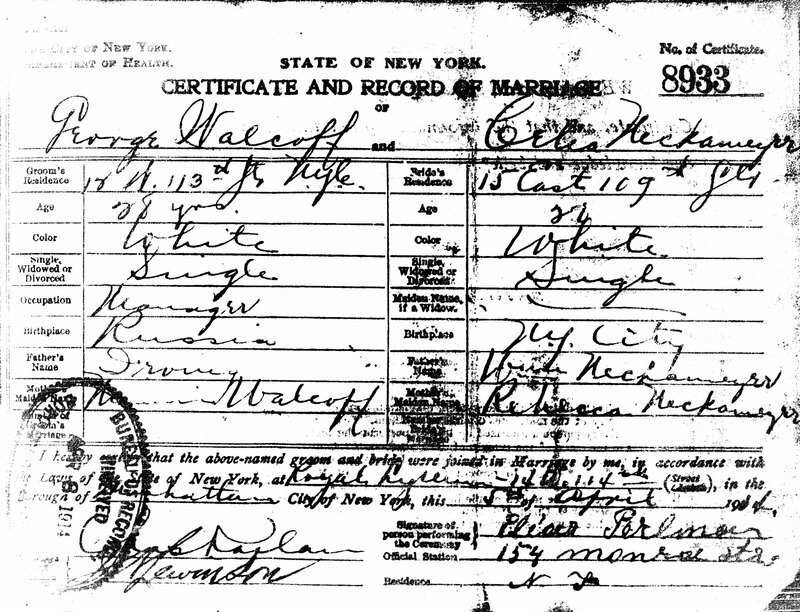 Two years ago, I found a marriage certificate for Celia Neckameyer and George Walcoff, and that was prior to knowing anything about the Neckameyer family. But since then, I’ve been in touch with Walcoff descendants, and they’ve been able to fill in many details about the Neckameyers and their relatives. 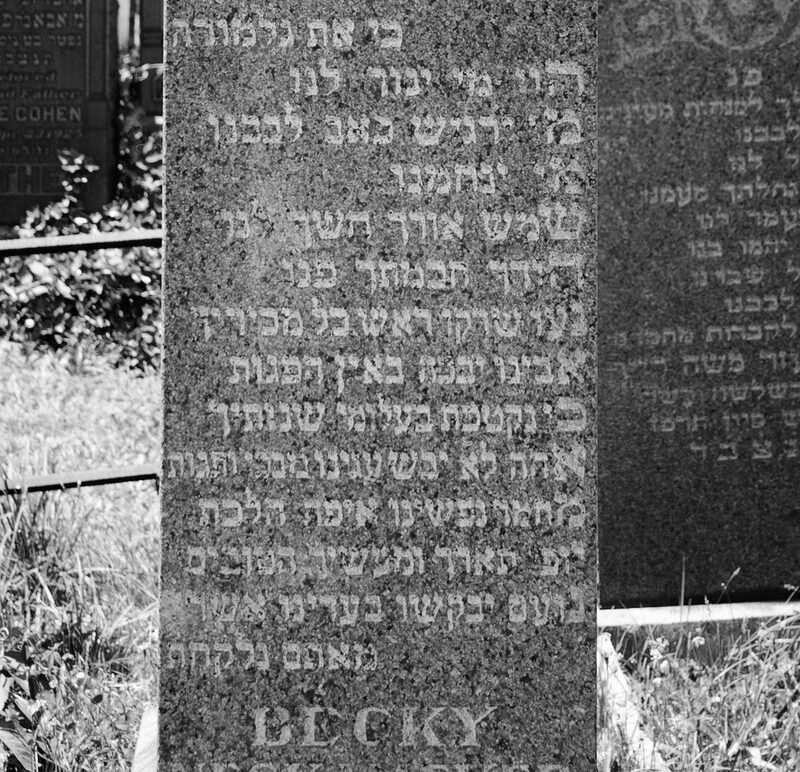 This weekend, I traveled to Beth El Cemetery in Paramus, New Jersey to visit Celia and to see if she was surrounded by family members. 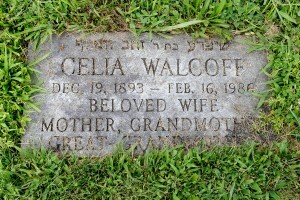 She is located in the Haas/Walcoff plot along with her husband George, her son Irwin Walcoff, and her daughter-in-law Helen Pollack Walcoff. The footstones provided specific birth dates and other information that helped me complete information in the family tree. Although the probability was low, I didn’t find my great grandmother near her sister. 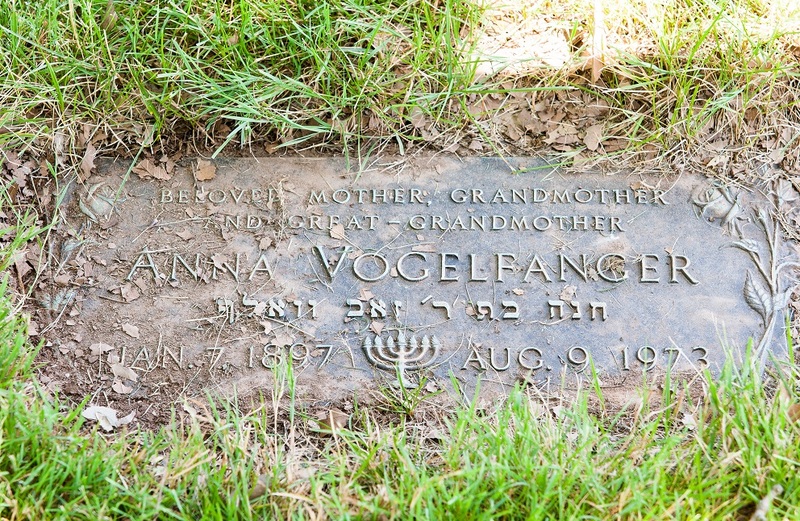 There has been some thought that Anna is buried in Wood-Ridge or Woodbridge, New Jersey, but without her latest married name or date of death, she’s been impossible to find thus far. I’ve visited many cemeteries over the last few years in my search for ancestors and relatives, and the staff at Beth El were probably the most friendly and helpful I’ve encountered thus far. Some old family photos included a friend and cousin of my mother and her parents, Marty Hirsch. As I progressed through my family research over the past couple of years, my mother identified Marty as someone who might be able to provide a lot of insight. Unfortunately, they lost touch some years ago. She was familiar with Marty’s address in Manhattan, and that helped us identify the Marty Hirsch who we thought was the “right” Marty — our Marty — among many listed in New York City. And then I came across some bad news, taking the form of Marty’s friend’s obituary. Marty was listed as predeceased in this obituary. Marty’s mother, Lena Neckameyer Hirsch, was the sister of my great grandmother, Anna Neckameyer Berman. Because I’m interested in learning more about all the descendants of my ancestors, I researched the Hirsch family, but I wasn’t able to get very far. The marriage certificate for Lena Neckameyer was a little difficult to read, and once again, my interpretation of handwriting eventually proved to be incorrect. 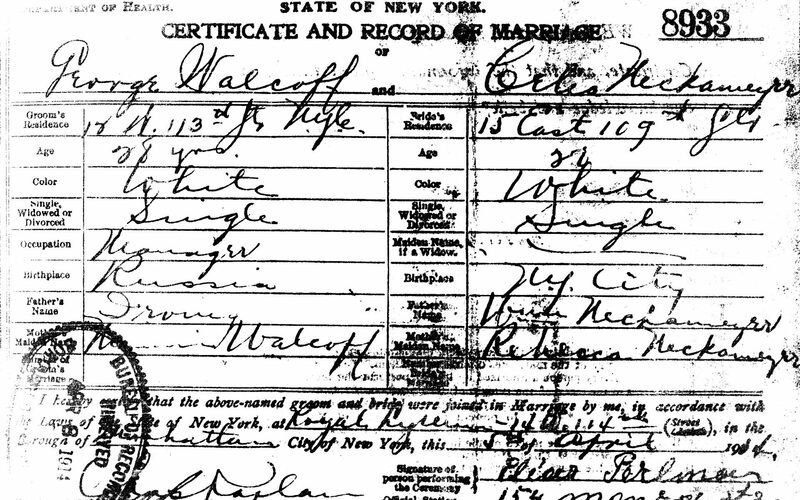 Lena’s husband’s name (and the name of Marty’s father) was Morris, and on the marriage certificate, his last name was Hirschenberg. Or Hirschensomething. It wasn’t clear, and I decided to go with Hirschenberg. Neither the names Hirsch nor Hirschenberg revealed much about these descendants of my second great grandfather, Wolf (William) Neckameyer. But over the last week or so, I turned my attention to this family, particularly because of their closer relation to the Bermans, and Lena’s presence in home films my mother’s cousin provided me at the same time I received the Berman recordings. Using wildcards in searches and scrutiny of the results, I determined that the name I was looking for wasn’t Hirschenberg, it was Hirschenbein. With this realization, I was able to find more census and military records for Marty Hirsch’s parents, brothers, and sisters. I still don’t know much information about the modern Hirsches, but now I have a better starting point. One new piece of information this led me to is Marty’s brother, Arthur, who was wounded in action during World War II. 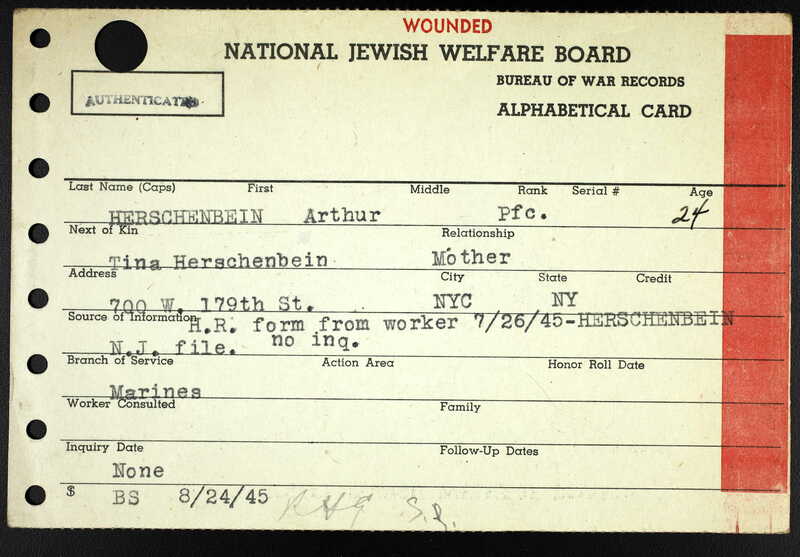 Arthur’s last name was usually spelled Herschenbein. A few days ago, I spoke to another cousin, a first cousin twice removed, who found me thanks to the progress I’ve posted online as I research certain branches of my ancestry. He offered a wealth of information about the descendants of Wolf Neckameyer. He mentioned that my great grand aunt, Celia Neckameyer Walcoff, held a job as a model for an uncle whose last name was Kashowitz. The name rang a bell. 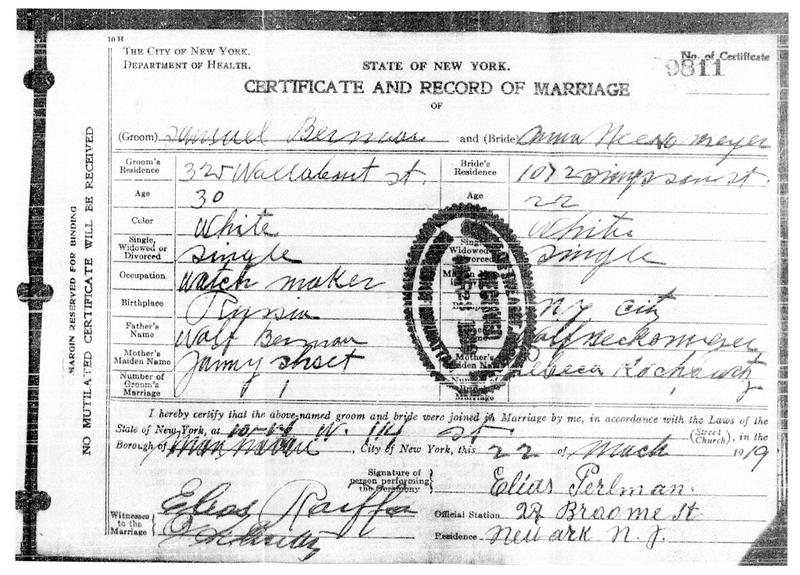 Earlier in my research, I obtained the marriage certificate for my great grandparents, Anna Neckameyer and Samuel Berman. I had a hard time interpreting the handwriting on the form, and I’m still getting used to interpreting different handwriting styles. At first, I interpreted Anna’s mother’s maiden name on the certificate as “Rochaurtz.” This never sat well with me, and after further examination, and with the assistance of Lena Neckameyer’s marriage certificate where the name was written more clearly, I was happy with my new reading of “Rashowitz.” Although the cousin I spoke with didn’t know how Celia’s uncle was related, the fact that he said his name was “Kashowitz” forced me to go back to the marriage certificate once again. Armed with the name Rashowitz and the possibility that more relatives were living in New York at the beginning of the twentieth century, I’ve discovered quite a few families with the last name Rashowitz documented in census records. I have yet to make any solid connection between these Rashowitz households and Rebecca Rashowitz, the first wife of Wolf Neckameyer, and the mother of my great grandmother Anna. 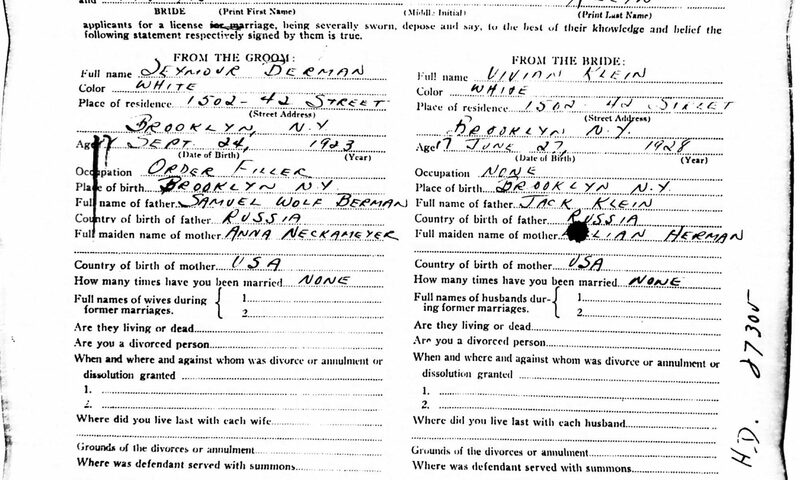 The three images below are how Rebecca Kashowitz’s name appears on three marriage certificates. I’ve slightly edited the images to get rid of lines from entries above and below the mother’s maiden name on the certificate. Also, after receiving the naturalization documentation and death certificates for Martin Landes and his wife Pearl (Pauline), I’ve decided to change the spellings of Pearl’s maiden name, which happens to be the same as Martin’s mother’s maiden name (Bertha Brauna). I had been using the German-based spelling: Jereslawitz or Jaruslawitz. Many immigrants from Eastern Europe arrived in the United States will German spellings for their names, and that seems to come out of the fact that many boarded ships in Bremen, Germany. The boarding agent who transcribed the names simply wrote down what he heard using the letters he’s accustomed to associating with certain sounds. As time passed, families took on the Anglicized spelling, using y instead of j for the Yiddish and Hebrew letter י, using v instead of w for the Yiddish װ. While there still is some inconsistency, I’m standardizing the name with spelling Yaruslavitz. This should also be closest to what I imagine the Yiddish spelling would have been (ירושלאַװיץ) or the Hebrew spelling (ירוסלביץ) using English transliteration rather than German. Update: As I’ve found more, later records for newly discovered members of the Yeruslavitz family, this spelling is more common, so I’m updating the tree to reflect Yeruslavitz. 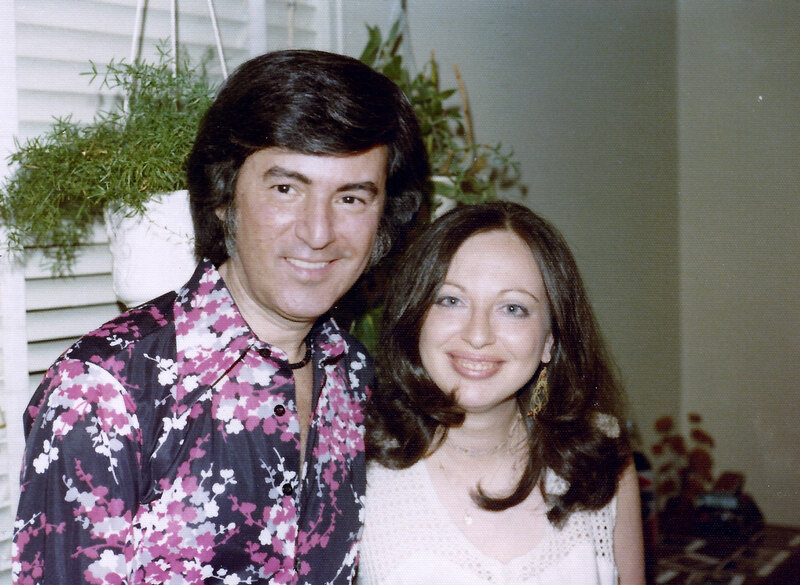 The photographs below are courtesy of Shari Berman Landes and Joel Landes. Two years ago, I didn’t know the name of my mother’s paternal grandmother. When I began asking my parents about their family, I learned about Anna N. None of my close relatives could remember her maiden name, however. It wasn’t too long ago that I discovered I had Anna’s name in front of me for quite some time. It was listed on Seymour Berman’s certificate of death, a copy of which I had obtained from my mother. Seymour Berman was Anna’s son. I knew Anna had a sister Lena, so I was able to find census records that likely pertained to the Neckameyers in my family. I answered many of these questions about the Neckameyers recently. Through Anna’s own marriage certificate, I was able to piece together a history that confirms that Anna and Lena have other siblings. One of these siblings is Celia Neckameyer, and the information I found points to her marrying a man named George Walcoff who lived nearby. I ordered their marriage certificate to confirm. The facts on the certificate seem to support the conclusion that Celia is the sister of my great grandmother, Anna Neckameyer. When starting my family tree research about a year ago, I didn’t have much information about any prior to my grandparents. Relying on the memories of my living family could only take me so far. At some point over the last few months, with the help of my parents, we discovered more documents filed away that could provide clues. One of these documents was my mother’s father’s death certificate. I didn’t even notice at first, but this document provided some information I had been looking for: his mother’s maiden name. I had understood from oral history that my great grandmother Anna had a sister Lena, but didn’t know much more. With the death certificate, I was able to put a last name to Anna and Lena: Neckameyer. With this information, I had more ammunition for finding public records. I quickly found the U.S. Census record from 1920 pertaining to Anna and Lena and from 1930 pertaining to Anna, with both also including their father William and their step-mother Rose. Also included was their father’s mother, Fannie. Around the same time, I also discovered a census record from 1910 that looked it might be the same family, but it also included two other siblings: Celia and Isadore. I didn’t want to accept this record as pertaining to the Neckameyers of my family right away, because they lived at a different address in 1910 (though not too distant from their location in 1920), the ages didn’t line up precisely, and oral history did not include Celia or Isadore. With my mother confirming she recalled an aunt Celia, I didn’t want to dismiss the records so easily. 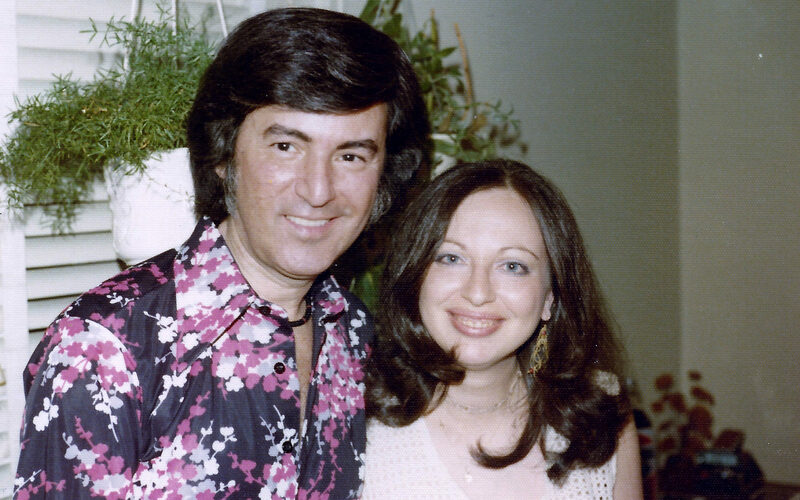 After more sleuthing, I saw that Celia Neckameyer later married George Wacloff. The Walcoff family lived at the same address as the Neckameyers who, through their address on a marriage certificate, I had confirmed as my relatives. 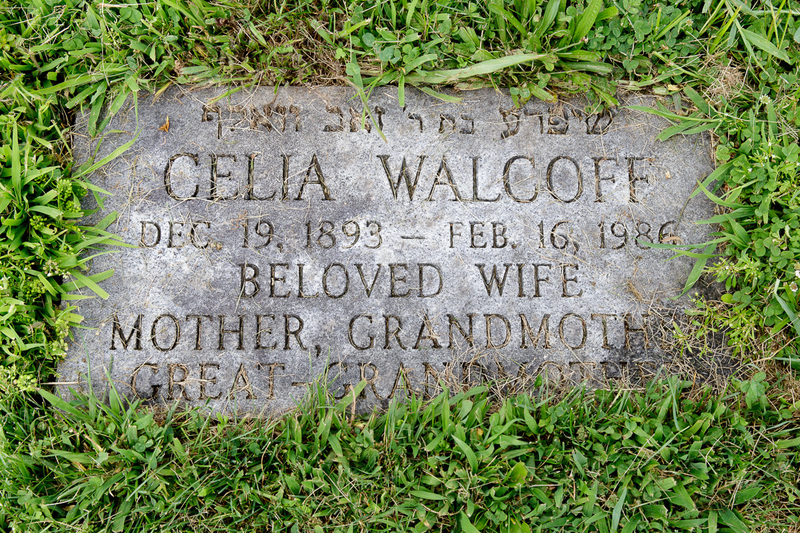 While by 1920 George and Cecilia had moved away from their families, I was able to trace the Walcoff family to the previous census to confirm George was in fact part of the same Walcoff family. The fact of the marriage of Celia Neckameyer with George Walcoff, whose family lived at the same address as Anna Neckameyer, convinced me that Cecilia and her brother Isadore (sometimes known as Irving) were in fact the sister and brother of my great grandmother, Anna Neckameyer. By this time I had been tracing the Neckameyers in a separate tree, eager to discover any other clues that might help me connect the two families. Earlier this week, I merged the two trees, “accepting” Celia, Isadore/Irving, and their children into my family tree. The marriage certificate of Samuel Berman and Anna Neckameyer gave me the name of Anna’s parents: Wolf Neckameyer and Rebecca Rochaurtz. By the time Wolf is living in the United States with his daughter Anna (and possibly with other children — that’s a different discussion), Rebecca had passed away and he had remarried. 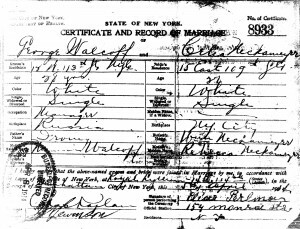 I ordered the marriage certificate for Wolf and Rose from the New York City Department of Records, hoping it would provide more information about Wolf. Rose Goldfarb was Wolf’s second wife. She was a widow herself, with the maiden name Schechter. She was born in Wolhina, Rossia, according to the document, and this most likely corresponds to the area known presently as Volhynia. Although Rose’s ancestry is not directly part of my heritage — Wokf’s first wife would be my second great grandmother — I have added her parental information into the Ancestry.com family tree. This document has also provided me with the names of Wolf Neckameyer’s parents: Aaron Neckameyer and Mollie Hecht. The certificate indicates Wolf was born in Minsk, another new piece of information for me. Continue reading to see the scanned marriage certificate. In order to complete the Family Tree I’ve been researching, I’ve ordered a number of birth, marriage, and death records from New York City. 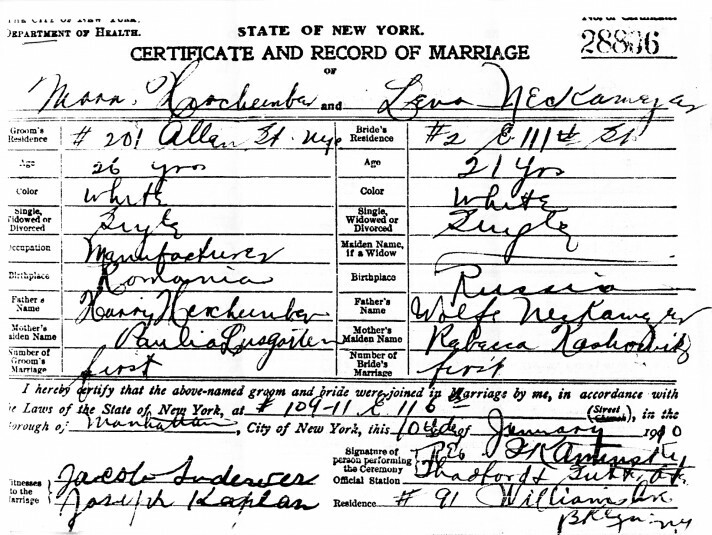 Last month, I received my first order, the marriage record for Sam Berman and Anna Neckameyer. Sam is my mother’s father’s father. The record provided Sam and Anna’s parents’ names, filling in several holes, though Anna’s mother’s maiden name is a little unclear to me. I interpreted the handwriting as “Rochaurtz.” Take a look for yourself.